Israel is often referred to as the “Start-up Nation”, but Israel’s president Shimon Peres is seemingly fascinated by a much further frontier than that. 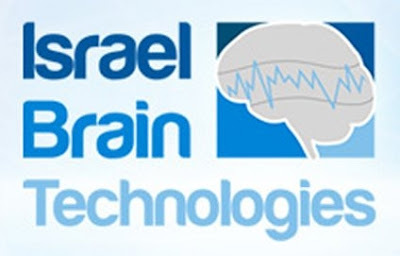 From “Start-up Nation” to “Brain Nation” is how the recent non-profit Israel Brain Technologies (IBT) initiative is commonly described. The main goal of the initiative will be to steer Israel’s immense R&D efforts in a more neuro-inspired direction, carrying the ultimate goal of making Israel a leading neurotech hub of the world. The initiative was conceived under President Peres’s firm belief in the future of neurotechnology, but was put in motion by one of the most successful entrepreneurs in Israel’s history—Dr Rafi Gidron, who was the official founder of IBT and now serves as its chairman. 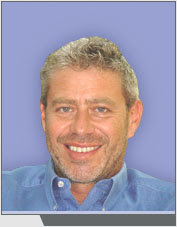 Gidron founded an optical component company Chromatis in 1998, and sold the company to Lucent just 27 months later for $4.7 billion, in what has since become Israel’s largest exit. Gidron strongly supports the President’s vision to turn Israel into the go-to neuro nation. After all, Peres was able to raise $250 million for nanotechnology research, and there isn’t a doubt that he could do the same for neurotech. IBT is now entering its third year of operation, and already over $10 million was raised for areas which form the focus of the initiative: human-machine interface and neurological therapies. Currently a team of leading researchers and neuro-experts around the globe, which include three Nobel laureates Profs Eric Kandel, Daniel Kahneman and Bert Sakmann, are selecting a number of finalists of the Brain Prize, which are to be announced in May of 2013. The winner will be revealed at IBT’s Global Brain Technology conference in October 2013. Dr Rafi Gidron may be best known for having orchestrated Israel’s largest start-up exit, but today this serial entrepreneur, angel investor and Columbia PhD graduate holds the key to success of the country’s newest vision: to reenact Israel’s hi-tech triumphs, with neurotechnology as the lead star. Dr Gidron has helped assemble an elite multi-disciplinary team of experts who will be responsible for advancing the Israeli neuro-dream. As IBT chairman he is responsible for moving forward the vision that was inspired by President Shimon Peres, by establishing IBT’s infrastructure and objectives, and building sound financial support around the initiative. A key role which IBT is expected to play is being the mediator between international investors and Israeli technologies, and well as various global foundations and Israeli academia. One could almost say Dr Gidron was reared for the role of IBT founder: as an avid brain enthusiast for over 10 years he studied the field in depth, and, during the fruitful time of nanotechnology circa 2003, he was involved in Pres. Shimon Peres’s initiative to advance Israel’s nanotech arena. When Pres. Peres’s vision of Israeli neurotech surfaced, Gidron, having accumulated a wealth of entrepreneurial insight and acumen, instantly saw the opportunity. Like Israel’s president, Dr Gidron agrees that neurotechnology is the ultimate challenge, and the ultimate opportunity, of the 21st century. It just so happens that Israel is excellently positioned to be a globally impacting winner in this space, provided that its journey is in the right hands (it is, trust us). IBT B.R.A.I.N. Prize finalists are to be announced on May 15th, and winners in October 2013 at IBT’s first-of-a-kind Global Brain Technologies Conference. The project has received over 70 applications: ~40% from the US, ~30% from Israel, ~20% from Europe, and the remainder from the rest of the world. Dr Gidron hopes that this project will bring the world to Israeli brain technology, and Israeli brain technology to the world. In addition to the $1 million prize, the winning project will gain the support of IBT, which will continue as a close cooperation to develop the world’s next breakthrough. For IBT, the B.R.A.I.N. competition will demonstrate Israel’s ability to become a hub connecting and accelerating global neuro-technologies. Dr Gidron says that IBT is still in preliminary stages of development, but its chief priorities are to support and nurture the nascent neurotech industry through whatever means possible. As IBT gathers momentum, it continues to attract industry leaders and academic and public sector experts. As of today, two Nobel laureates are already part of IBT’s scientific board. One of the developments which Dr Gidron would like to see in the future is the establishment of a neurotech development facility in Israel by a large multinational corporation (MNC), which would contribute to the country’s impressively high MNC presence in other industries. Asked about whether the IBT will be looking to cooperate with other world brain initiatives, like the Human Brain Project and the B.R.A.I.N, Dr Gidron said that this will form an integral part of the mission, and added that he is very excited to see other world leaders share the neurotech vision. He says that collaboration between the IBT and the HBP is currently in the works. Like many experts in the field, Dr Gidron acknowledges that Israel possesses a particular strength in medical devices, which is why IBT isolated key areas of focus with a particular sway in that direction. In his opinion, the burgeoning defense industry, a strong track record in technological innovation, a vibrant culture of entrepreneurship and risk-taking and the multidisciplinarity of all aspects of life in Israel contribute to its unique edge and its quirky inimitability. Dr Gidron ends with a sound bite, “Israel: It's not only a State of Mind. It’s a State of Brain!”. And, in retrospect, perhaps another reason for Israel’s enigmatic success is precisely people like him.